The Power Blaze B06 is not only a luxury USB flash drive with a storage capacity of 8GB, but also a stylish accessory. Weighing a mere 9g, the device enables you to keep all your data on you without even noticing it. 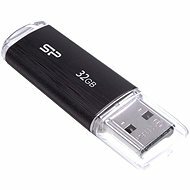 The USB 3.0 interface provides a very fast data transfer, however the flash drive is also compatible with the slower USB 2.0 and USB 1.1. Moreover, the Power Blaze B06 features the SP Widget with an array of useful functions. 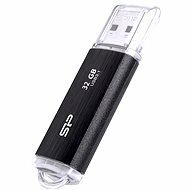 The flash drive comes with an LED indicator that is an elegant way of showing you whether or not connection has been established. Furthermore, the B06 features a stylish cap that helps prevent damage to the connector. The cap can also be attached to the other side of the device to avoid unwanted loss. Last but not least, the Power Blaze B06 boasts an elegant pearl white design. For shipping to other EU countries visit this page Silicon Power Blaze B06 White 8GB. Für Versand nach Deutschland, besuchen Sie bitte Silicon Power Blaze B06 White 8 Gigabyte. Chcete doručit zboží do Česka? Prohlédněte si Silicon Power Blaze B06 White 8GB. Chcete doručiť tovar na Slovensko? Prezrite si Silicon Power Blaze B06 White 8 GB. Für Versand nach Österreich, besuchen Sie bitte Silicon Power Blaze B06 White 8 Gigabyte. Magyarországra történő kiszállításért tekintse meg ezt a termékoldalt: Silicon Power Blaze B06 White 8GB.